Last year’s winner Blaklion heads a field of 18 declared for the Randox Health Becher Handicap Chase at Aintree on Saturday. 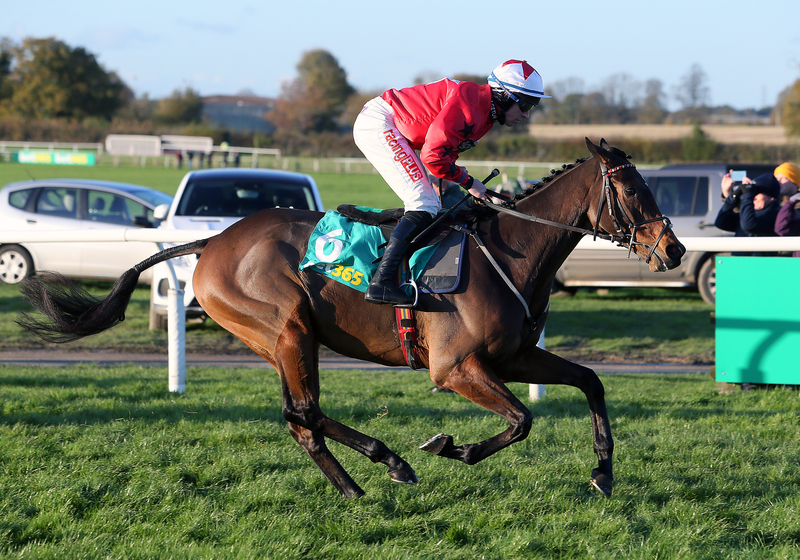 The nine-year-old, trained by Nigel Twiston-Davies, will bid to be a two-time winner like Hello Bud, who struck for that stable in 2010 and 2012. The Naunton trainer also saddles Ballyoptic. Three of the horses Blaklion defeated 12 months ago – third-placed Highland Lodge, the fourth home Federici and Vieux Lion Rouge, who was seventh, renew rivalry. James Moffatt’s Highland Lodge was successful in this race in 2015 while the David Pipe-trained Vieux Lion Rouge took the honours in 2016. The weights are topped by the Gordon Elliott-trained Don Poli, who will be having his first race since finishing third to Sizing John in the Irish Gold Cup at Punchestown in April 2017. Another Elliott inmate, Noble Endeavor is set to have his first taste of action since running into sixth place in the Irish Grand National at Fairyhouse that same month. A six-strong Irish contingent is completed by Sean Doyle’s Crosshue Boy, Ross O’Sullivan’s Call It Magic, the Paul Nolan-trained Fine Theatre and Dare To Endeavour from Pat Griffin’s yard. Others in a competitive event include Colin Tizzard’s dual Topham Chase winner Ultragold, Paul Nicholls’ double Badger Ales Trophy scorer Present Man and Warren Greatrex’s Kim Muir victor Missed Approach.